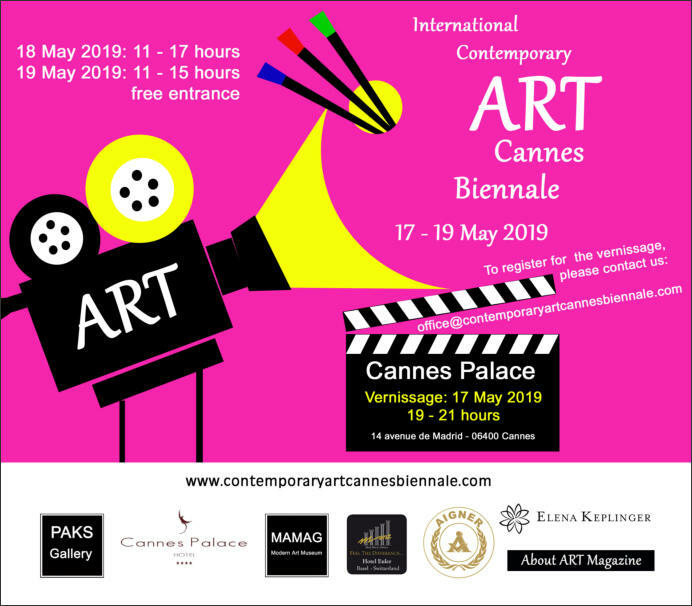 International Contemporary Art Cannes Biennale is a museum-quality exhibition curated by the MAMAG Modern Art Museum in collaboration with the PAKS Gallery, with prizes awarded to artists in various categories. 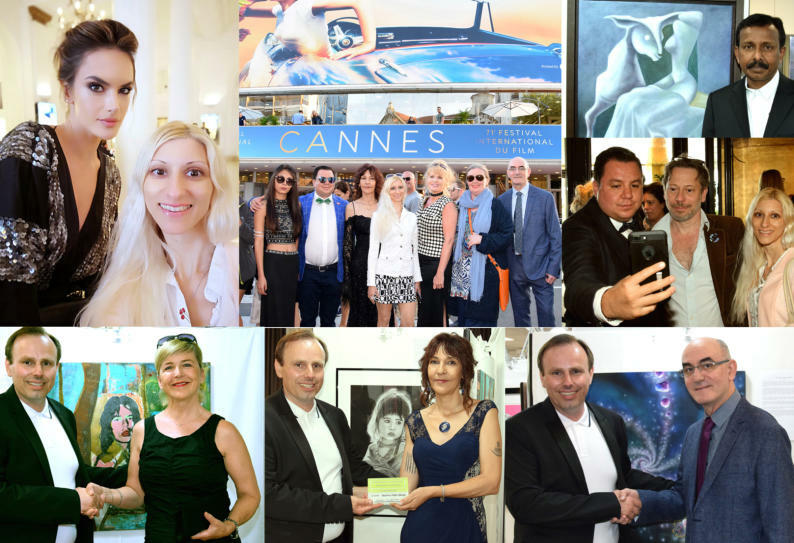 International Contemporary Art Cannes Biennale takes place during one of the most important cultural weeks worldwide - Cannes Film Festival. The exhibition allows the presence of all artistic directions. The focus of the Biennale is on painting, sculpture, mixed media, paper works and digital art, which is professionally curated to give the viewer an overview of the movement of the contemporary art scene.Collectors, galleries, critics and journalists have the opportunity to see works of art from Japan to Brazil, from USA to France, from Great Britain to Australia, to get involved in changing cultures, styles and artistic expressions. Famous galleries, journalists and art collectors in Europe are invited.The presence of artworks allows the viewer to convey the greatest possible artistic impact. Curators and visitors will be able to see the works of established and emerging artists.Museum curators experience art from around the world in an environment where artists are rigorously selected. The exhibition is organized in such a way that the visual impact of the individual works is maximized in order to place the accents on the most important points of the work of art and to allow the observer the complete statement of the work of art.